Lion of Judah-Israel (LOJI) is a community of women who give to a common fund dedicated to the advancement of women and girls in Israel. Through this fund we support outstanding projects that improve the lives of thousands of women, girls and families. 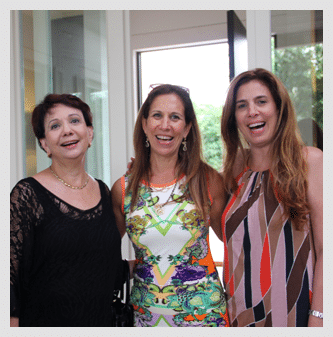 LOJI is unique among women’s organization in Israel and breaks new ground in women’s philanthropy. Each member gives an annual donation to our fund, most of our activity is conducted by volunteers, with only one paid professional. LOJI is the local affiliate of international Lion of Judah, a philanthropic organization numbering 18,500 Jewish women worldwide who are dedicated to Jewish causes in their home communities and to Israel. By supporting joint projects with communities abroad, hosting missions during visits to Israel and participating in Lion of Judah international conferences, we are able to create warm personal relationships and act as “ambassadors” for Israel. Lion of Judah Israel) is a new concept in women’s philanthropy in Israel -- a socially committed foundation, dedicated to the advancement and empowerment of women and girls in Israeli society.